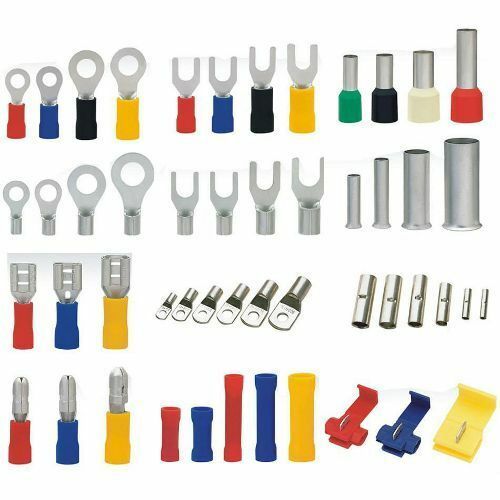 Cable lugs are the devices used for connecting cable and wire conductors in electrical installations and equipment. These are used when permanent, direct fastening methods are not feasible or necessary.In general, lugs are fixed to cables and wires by inserting the conductor/s into the barrel (tube) of the device and then barrel is crimped, soldered or welded onto the conductor for secure mechanical and electrical joint. The connection end of the lug is then fastened to connection point by means of a bolt, screw, or spring clip. Numerous sizes, configurations and material types are available to suit particular applications. Kripson Electricals is engaged in Manufacturing, Exporting, Distributing, Wholesaling, Suppling and Trading the most sought after range ofcomply Control Panel Accessories, Wiring Accessories And Allied Products. These products include Wiring Products, Cable Marker / Ferrules, Spiral Wrapping Band, PVC Sleeve, Tie Mount - Adj. & Non Adj., Binding Roll & Button, PVC Grommet, P Clips Adj. & Non Adj., Cable Ties,Towerlight And Hooter and Control Panel Accessories. Our product range is used in Electrical & Electronic Industry and Telecom Sectors. We also offer, Adhesive Tie Mount, Extra Heavy Duty Tie, EC Type Cable Marker, Flat Cable Marker, Spiral Wrapping Band, PVC Sleeve and Cable Tie. The wide range of products offered by us include Color Code Ferrules, Binding Roll, P Clips Non Adjustable, Adjustable P Clips and PVC Grommet. Kripson's business involves seeking out manufacturers and designers of products from all over the world for solutions best suited for the market. Kripson carries forward this task to bring the right solution for the customer at the right price and right time. The unique qualities of theseControl Panel Accessories, Wiring Accessories and Allied Products such as durability, reliability and optimum performance have gained a huge appreciation in the international market segments. In order to achieve maximum client satisfaction, we offer the entire range of Wiring Accessories and Allied Products at market leading price range.Some of our importent clients are Adani, Bombardier, Bharath Heavy Electricals Limited, Shell, ONGC, BHEL, Indian Railway, Lanco etc.